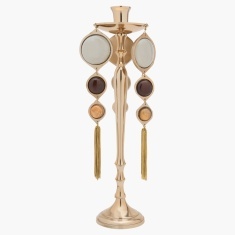 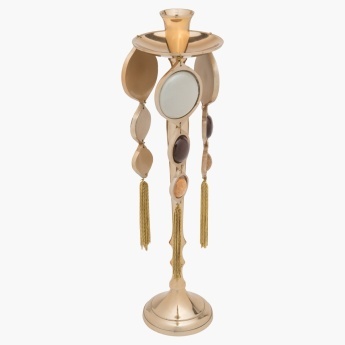 Stylish and classy, this candle holder is sure to add charm to your home decor. 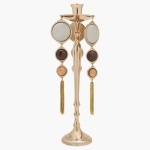 Featuring a modern design and metallic finish, this piece is made from glass and aluminium that makes it durable. 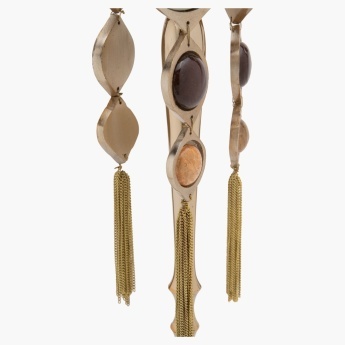 It has tassels that add to its appeal.